Security measures for a corporate (wireless) LANs environment are urgently required due to the development of smartphones and cloud computing. 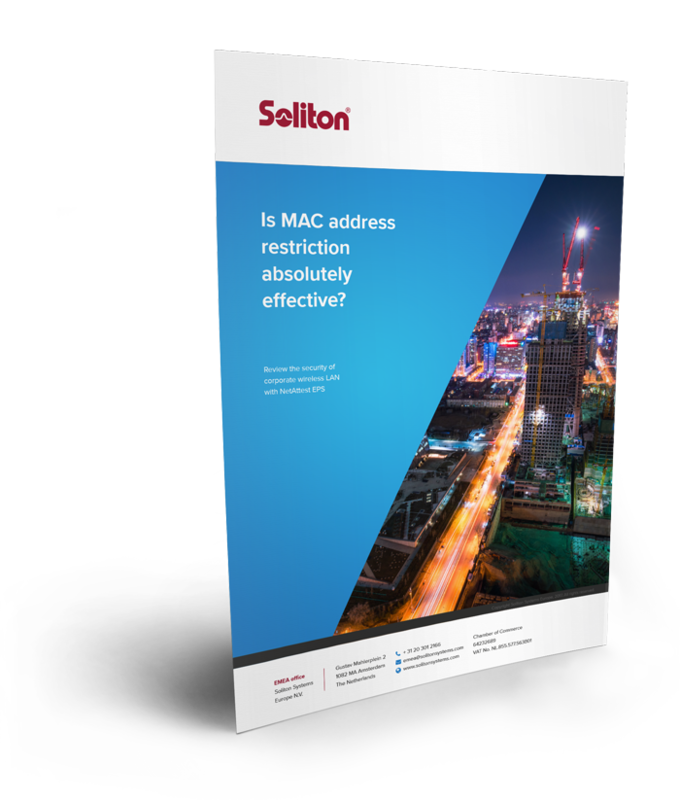 A risk of continuing to use vulnerable technologies such as MAC address filtering or PSK authentication is a particular concern. What security measures for wireless LAN are truly required? This white paper proposes a concept of required wireless LAN security, while introducing the functions of NetAttest EPS, an authentication server appliance provided from Soliton Systems.